A gentle, foaming water based cleansing gel, formulated with a blend of citrus extracts which removes surface impurities and oil. Invigorates and revitalizes tired skin with lemon, grapefruit, and rosemary extracts. Contains azulene for soothing and calming. Available in 480ml PROFESSIONAL and 120ml RETAIL . A gentle, hydrating toner formulated with Vitamins A and D for antioxidant benefits and provides a mild keratolytic activity. Contains aloe and allantoin for soothing and calming; and hyaluronic acid for hydration. 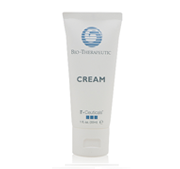 Excellent for balancing skin and in preparation for additional bT-Ceutical products. Available in 480ml PROFESSIONAL and 240ml RETAIL sizes. 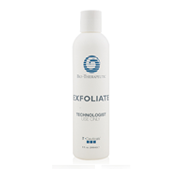 The combination of papaya enzymes and jojoba beads make this the ideal exfoliating scrub. The formulation leaves skin feeling refined, smooth, and refreshed. 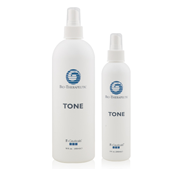 Sodium PCA provides moisture retention; and allantoin soothes and heals even the most sensitive reactive skin. This mild preparation is gentle enough for daily use. Available in 240ml. This exclusive non-oily, easily ionized formulation contains Biodynes® TRF (Tissue Respiratory Factor) which through Increasing oxygenation and respiration to the cell, up regulates production of collagen and elastin. 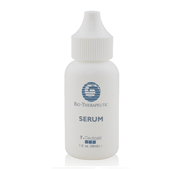 Contains hyaluronic acid and provides anti-inflammatory benefits and moisturizing properties. Contains fennel extract which serves as a detoxifier. Essential daily defense against aging skin. Available in 30 ml. Rich in collagen and elastin, this powerful liposome based cream moisturizes, firms, and provides antioxidant benefits to skin. Contains gamma linoleic acid (GLA) which serves as to improve barrier functions and provides lipid replacement. It also contains Vitamin E, as an antioxidant and free-radical scavenger. Available in 120ml PROFESSIONAL and 30ml RETAIL. 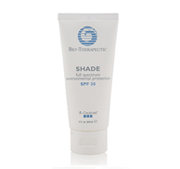 This full-spectrum SPF 30 UVA/UVB sunscreen provides environmental protection and contains Vitamin C and Vitamin D as antioxidants and sodium hyaluronate which offers maximum hydration and moisturization. Available in 180ml PROFESSIONAL and 60ml RETAIL.